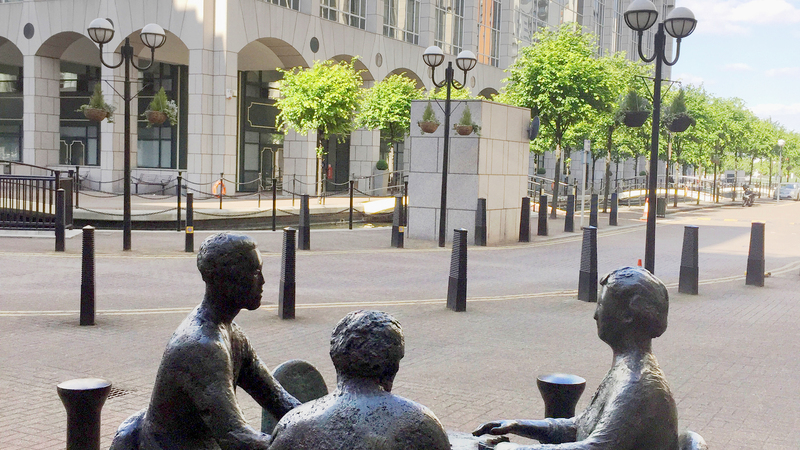 In the heart of London, a stones throw from the presitgious Canary Wharf and surrounded by some of the most innovative quarters of London is East India Dock. 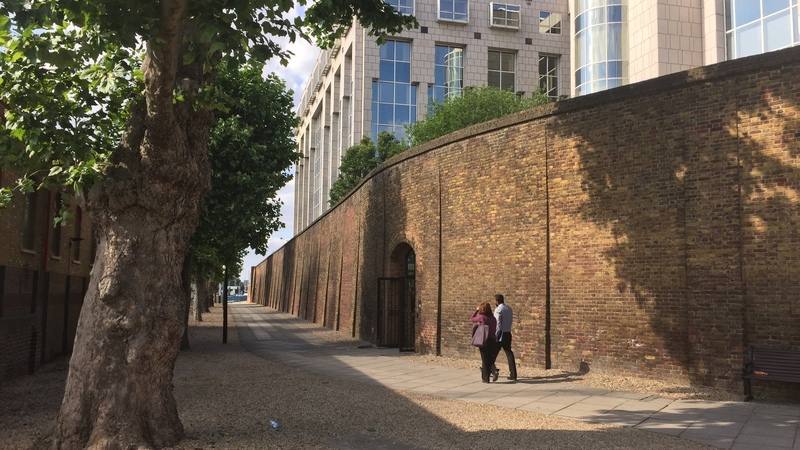 Cracknell was appointed for all hard and soft landscape design and supervision services for this office development situated within the old East India Dock site. The design incorporates a canal-style water feature, which consists of one arm of an L-shaped canal, lined by trees, crossed by humped, metal footbridges, and containing fountains. Post and chain balustrading reflect the Docklands heritage. Framing the canal is an avenue of lime trees which provide shaded seating adjacent to the water’s edge. Cracknell also worked closely with the sculptor, David Jacobsen, who was commissioned to create all the public art for the project.